Q. I epilated for the first time. I took a bath afterwards since the instructions didn’t say not to. Now I have loads of big red bumps on both lower legs. They all have white heads and are painful. How do I get rid of these? 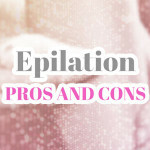 Should I try epilating again ever? I am sorry that you skin reacted the way that it did. I really sympathize, sweetie. Everyone’s skin reacts in funny ways. It really depends on thickness of the hair and the sensitivity of the area. There could be several things in play here. While it is normal to get whiteheads the first couple times you epilate, you did mention that you took a bath afterwards, which I don’t recommend. For whiteheads, the culprit is usually Staphylococcus aureus bacteria getting into the follicle. It could be that the area wasn’t prepped properly or the bath water allowed the bacteria to enter the follicle. In rare cases, it could be that your skin is prone to something called folliculitis without much aggravation. It’s hard to say what happened, but my guess is that the bath water somehow aggravated the condition. 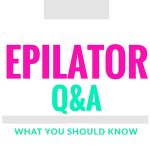 When you first start using an epilator, it is pretty common to get red bumps. The red bumps are caused because the follicle gets inflamed. This is known as folliculitis and is usually easily treatable. 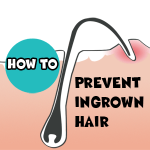 Sometimes it can be hard to figure out if the the inflamation is caused by ingrown hair or folliculitis. If it happened immediately after epilating, it is probably folliculitis as opposed to ingrown hair. When you haven’t removed hair from the root before or for awhile, the follicle is suddenly shocked when you pull the hair out. It gets inflamed or swollen. The skin usually calms down on its own after a couple of hours. If it hasn’t, you can use an aspirin-like product like Tend Skin or PFB Vanish. Another thing that works is A&D Diaper Rash cream. The whiteheads are a result of bacteria on the skin getting down into the inflamed follicle and causing an infection around the follicle. Certain areas tend to be more prone to this especially the face on the upper lip and between the eyebrows or areas with a lot of sweat glands. Resist the urge of popping the whiteheads because it could spread bacteria. Don’t scrub them too hard. The whiteheads should clear up on their own in a few days. Something like 100% tree oil can help them dry out faster. You can also use epsom salt in a bath. If you want them to heal faster, you can treat the area with hydro cortisone and an antibiotic like polysporin. Some people get an allergic reaction which can cause histamine bumps. This can be treated by taking an anti histamine like Benadryl before you epilate the next time. Typically, folliculitis should clear up on its own in less than a week. For rare cases, a trip to the doctor and a prescription of antibiotics might be needed if the inflammation doesn’t go away after a few days. 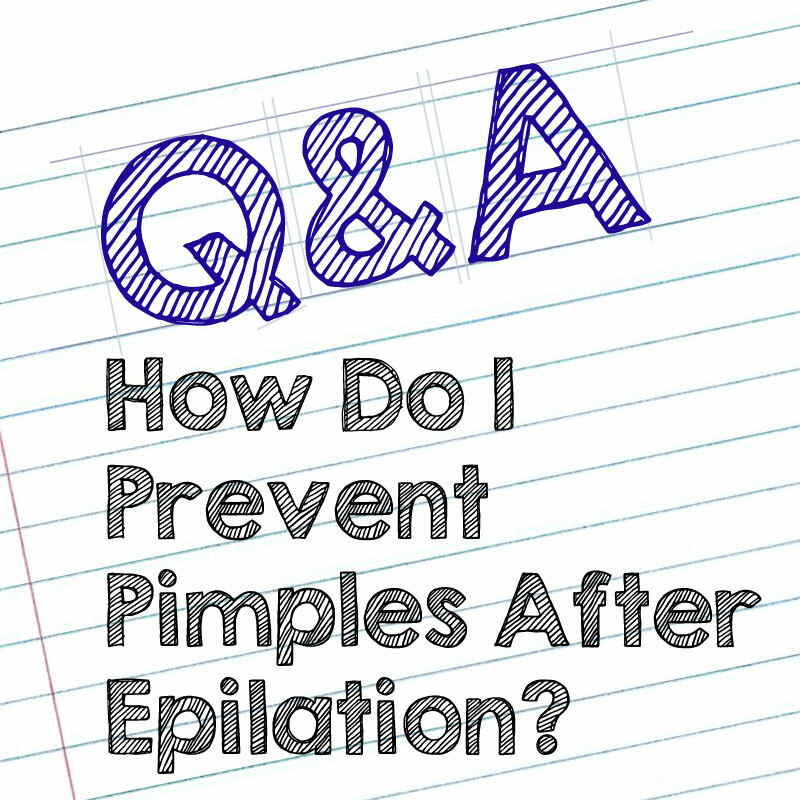 If you still want to try epilation, don’t epilate again until your skin has cleared up. Wait until the red bumps and whiteheads have cleared. This time I suggest you do a patch test. When you remove hair from the root, there are actually little microscopic openings created on the skin’s surface. Bacteria can get into these openings and cause an infection. The best advice is to clean the area prior to epilation and immediately after. Proper preparation and after care can help reduce the chance of getting an infection. Since you had an allergic reaction last time, you have got to go out of your way to keep everything ridiculously sterile. It’s okay to go OCD here. Gently exfoliate the skin prior to epilation to prevent ingrown hair from developing. For some it can be too stimulating on the day of epilation, so do it the day before. Take a shower before you epilate, cleaning the area with an acne wash or something like Hibiclens. Then apply an antispetic like 100% tea tree oil or 100% witch hazel with a cotton ball to kill bacteria on the skin. Also clean the epilator head by brushing it with rubbing alcohol. Go ahead and epilate. I like to use a talc free baby powder before epilation to remove residual moisture. After you epilate, you want to clean the skin with 100% tea tree oil or 100% witch hazel to make sure no bacteria enters the follicles. After care is so important. After epilating, the hair follicle is open for about 24-48 hours and is susceptible to infection. This is especially true when you remove hair from a large area. I know it can be tempting to feel how smooth the skin is, but do not rub your skin because again you could transfer bacteria on the skin. Keep the area as dry as possible. Don’t do anything that will make you sweat a lot. Perspiration can cause havoc. You can put a talc free powder to remove moisture. A warm shower is probably okay the next day but do not use hot water. At first you should expect a little skin irritation. Once you start epilating regularly, your skin will get accustomed to the process of removing hair at the root. You will get fewer and fewer bumps as your skin and follices will get used to it. Your skin should be less prone to breakouts. 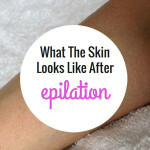 After following the steps above, if you find that your skin is still prone to folliculitis, then even the best epilator might aggravate your condition. 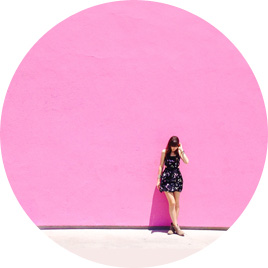 You might have to look into laser hair removal which doesn’t aggravate folliculitis. I sincerely hope that helps. Take care and let me know how you are doing sweetheart.